If you follow me on Instagram (malloryshawdesign) then you know that we have taken a last minute trip to Las Vegas. This is my first time to Vegas and I love more than I ever thought I would. I mean pretty much any store you can think of is here...and in walking distance! 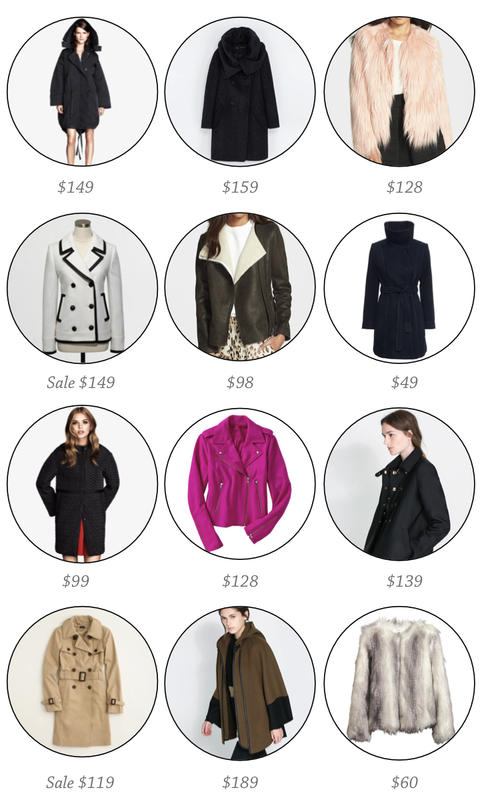 While out doing some browsing and shopping I have noticed so many great jackets and coats super reasonably priced. Coats can easily be a an expensive purchase... and I am not against investing in great ones that will last for years. However these (all under 200) definitely look so much more high end! I love that pink coat and tan trench! I have been looking for a good trench for about a month now!